Yoga by Danit is a yoga and meditation studio with group and private classes for people who are looking for both fitness and personal growth. 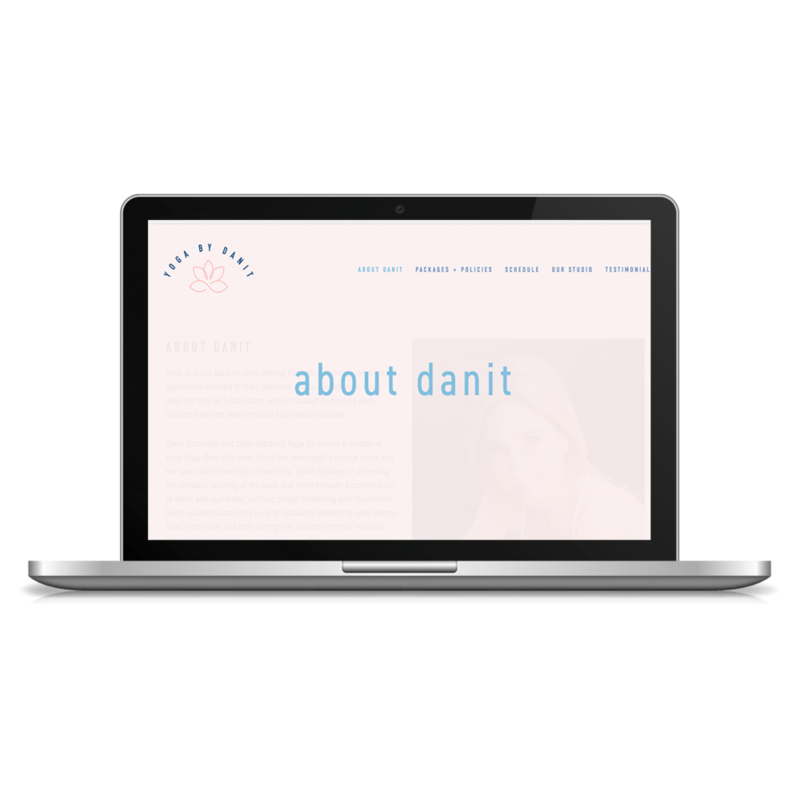 Yoga by Danit needed a brand identity to serve as the face of their new studio and a website that would allow clients to book classes and view the studio schedule. They wanted a look that reflected their brand's personality — flowing and simple and soft. And of course, we built out the website in just 5 days with the Go Live in 5® process!